Join us for the last webinar in our Security SOS Week - we take a look at ransomware... and all the other malware nasties that roam the net. This is a well presented Review of the new Microsoft Surface Pro. If you were thinking of a new purchase this might be a good choice for you. That flashy little device in your pocket is a big security risk. Hackers are increasingly targeting mobile devices to steal data (emails, contacts, corporate data, financial information) and send premium rate SMS, using up your bandwidth in the process. Android devices are most vulnerable to threat - last year SophosLabs saw an 1800% increase in Android malware. But iOS is also at risk, especially jailbroken devices. Wanting to use Amazon Prime Video to help cut the cable? Amazon Prime users can opt into some of the prime cable channels (HBO, STARX and SHOWTIME) on a subscription basis. Amazon is providing a 7 day free trial to check it out for yourself. After the trial period you be looking at paying $8.99/month for STARZ, $14.99/month for HBO and $8.99/month for SHOWTIME. If you want to see all the channels available on Amazon Prime click here. Microsoft Stream capabilities vary based on the Office 365 subscription and the below table highlights Microsoft Stream functionality differences by subscription. The Microsoft Stream Plan 2 Add-on is available for Office 365 E1, E3, and E5 subscriptions to enable full Stream Plan 2 functionality. This has been a natural progression from the SharePoint Video library application to a richer more YouTube like application that has deeper integration into the Office 365 Application Library of programs. This service was designed to make it easier to share Corporate Video. This service provides a secure method of discovery and sharing in the Corporate Environment. The basic premise behind the tool is that in a controlled environment, employees can easily upload, share and discover internal videos through one site. The goal of the service is to take the ‘work’ out of sharing video internally and make it accessible to all employees while also maintaining the high levels of security that the enterprise demands. If you don’t see it in your Office app launcher, you should see it in the near future. As part of the announcement today, Microsoft will begin transitioning Office 365 Video to Stream which will be a complicated process. Microsoft outlines the process here and it is worth reading as the transition has potential implications on how you currently use Office 365 Video inside your company. Interesting Review of the new Microsoft Surface Laptop running Windows 10S. It all sounds good but I think that the price is a little more than what I would want to pay for Just a LAPTOP! I’d rather spend a few extra dollars and get the Surface Book that gives me Windows 10 Pro (yes I’m a business user) and the detachable screen. I really like those features. I understand that isn’t what everyone is looking for but that’s how I feel. Stay up to speed on the latest security topics by joining in the free Sophos Security SOS webinar series next week! Your daily round-up of some of the other stories in the news! OneNote’s new enhancements helps to keep your OneNote experience the same across all the platforms you use it on. 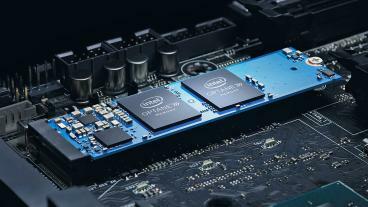 If you have watched any of Intel’s demonstrations of the benefits from using Intel’s new Optane Memory Technology, you would possibly come away with the impression that you could get away with less RAM memory in your system if you use it. They use the fact that accessing files is faster in a system with Optane Memory than without it which is true if it has been cached especially. They also justified the expense by stating that if you decrease the amount of RAM in your system the cost of adding the Optane memory will be about the same without a loss of speed. This is probably true if you are a one at a time application user. Most of are not so while I agree that the Optane Memory will show the best speed increase with spinning drives, I would suggest that you still shell out the extra cash to get the most RAM possible to help you maximize the speed of the machine. To learn more about take a look at this Windows Central article. Microsoft’s Surface Dock-Worth the $200 Price Tag? The first benefit is that the connector to the surface is the same magnetic connection that you are used to in the smaller power supply that comes with your Surface product. So with the one connection you are not only powering your device but you are adding all of the ports listed above with losing anything on the Surface at all. The second thing I like are the dual display ports that allow you to connect two monitors giving you three active monitors altogether. They are mini display ports so it easy to convert them to whatever you monitors have on them. Thee are a total of (4) USB 3.0 ports with power to charge your USB devices if you wish to plug them in. There is also a 1 Gigabit Ethernet port and an Audio out port to complete the group of ports being added to your device. I drove with my family down to South Carolina for a week of sun and fun and for me training and catching up on work as well. I decided to bring my two monitors from my desktop setup with me and my wireless keyboard and mouse. It ended up being a really great setup and I felt I had an even better setup then I had at home with the three monitor display. I also hooked up a 3TB USB drive and a few other items to round up my desktop. It was really nice. So to answer the question, heck yea! When you look at some of the other similar products on the market they are all priced right around the same amount so I really don’t feel that you would be paying a premium for this product. So if all of this sounds like something that you would want to do with your setup then I would say do it. You will find that it was well worth it.